• a young professional or ‘young at heart’? • ambitious and looking to make a difference in today’s society? 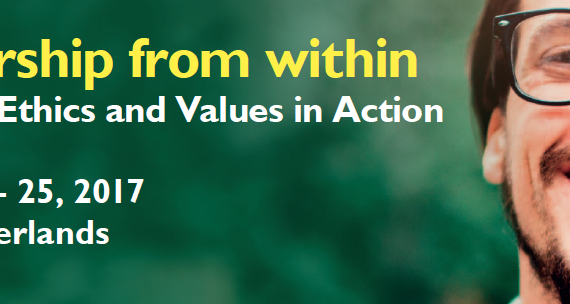 • looking for ways to further explore your purpose, values and ethics? • enthusiastic about going on this journey with inspiring people? Join us on the Leadership from Within, a three-day program to dive into the mechanisms of the human brain and investigate our perceptions. Let go, build trust and take initiatives. Turn new understandings and experience into action by learning to lead ourselves and our life. Combine theory and practice, use storytelling, experiential learning and mindfulness, to become fully aware of attitudes and behaviours. It will serve as a first step towards conscious choices and behavioural changes in our personal and professional lives. How can we build businesses aligned to our inner core? Register to this webinar and connect with Marie Örnesved—and other participants, at the ChangemakersForward community. Check your local time here. When Marie Örnesved stepped out of a senior position in 2009—after 27 years in traditional business, she realised she had lost her joy and what life was about. Since then her guiding questions have been: What is joy to me? How can I live a joyous life? How can I be me fully? Who am I? How can we create our reality from a soulful place? 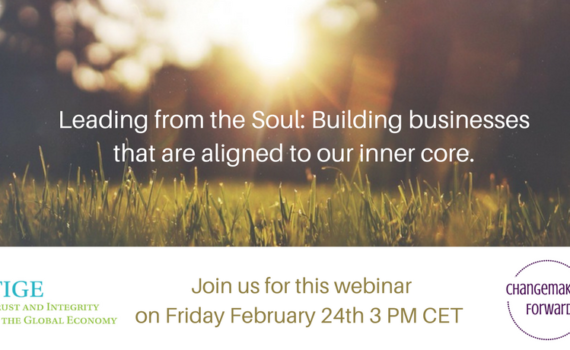 How can we build businesses that are aligned to our inner core? She realised also that the world is in need of people that connect to their souls and who lead and live their lives from that place and that connecting to who we really are and what we wish to create in life is a great gift to ourselves and to everyone around us. When we connect to our soul and build organisations from intentions that are true to our heart, then magic happens! “You can only (seriously) talk about making a different business model when you are willing to listen to your inner voice. This requires to be still and wait for the answers. Many have had to close down their systems in order to create the “reset”. You do not necessarily have to walk the long journey. It is exciting to support entrepreneurs in connecting to their own inner guidance — something that is key! And to support one another” ~ Marie Örnesved. We are in a time when we can take a quantum leap to create our lives and how we “do business” from a totally different space within. Making this shift will take us to completely unknown charters of “how we do business” as the rules of the game no longer exist. We will create from a higher frequency which means that we will attract both people and opportunities from this higher level of resonance. How do you take the step into this higher resonance field? It is quite simple. Be you. To be ourselves should be simple, but there are many outside rules and demands so it might take some work to uncover the true you. There might be fears. There might be previous experiences that get in your way. There might be expectations from other people on what you should accomplish. The younger you are the likelier it is that you do not have too many “old programs” that are running your system. To create from a higher resonance field means that you are guided by your intuition. The impossible will suddenly be possible and the whole world will be like a new ballgame! Isn’t it exciting? Are you ready to get some insight into how you can transform yourself into this higher frequency? To lead and create from a higher frequency – what does it mean? What does it mean to transform myself into this reality? How can you build organisations from this higher frequency field? Marie Örnesved started LightSpira in 2010 to make messages (books) from loving hearts available to a global audience. It was at the same a playground for how a business could be built based on cocreation and soulful intention. She is the co-author of “Sensitelligent – a Guide to Life” – a book that guides you from fear and control to trust and intuition. You will find more about Marie on LinkedIn. Participation is PWFR (Pay What Feels Right) and Free. We welcome everyone and encourage you to contribute if you can. With your registration we invite you to join the conversation at the ChangemakersForward online community, to connect with Marie and other participants. A recording will be available. 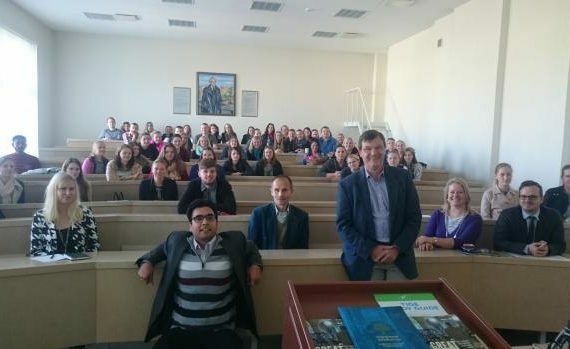 Mike Smith and Rishab Khanna visit Latvia to represent TIGE programme of Initiatives of Change, and to meet with groups of economics students, social entrepreneurs, anti-corruption campaigners and others. 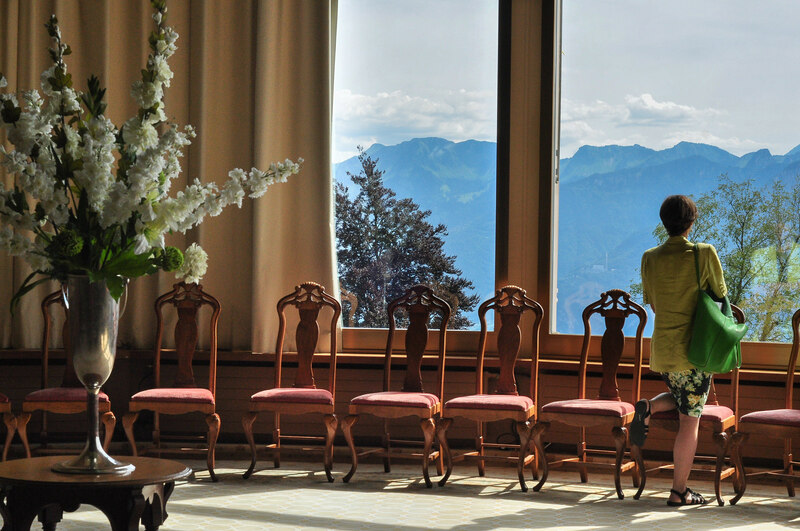 TIGE celebrated its 10th anniversary with friends from all over the world 5-10 July 2016 in Initiatives of Change International Conference Centre at Caux, Switzerland. We explored the impact of the past decade and connected with the network that has emerged. 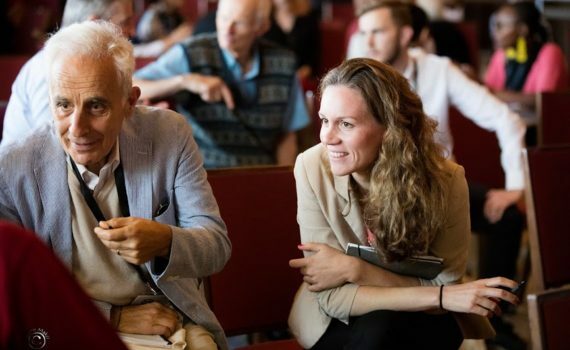 Aims of TIGE Forum 2016 were to: illuminate and connect initiatives and models of the new economy; facilitate inquiries into the essential aspects of our economic future; and create a space for individuals to connect to their authentic self. Denmark is the world’s least corrupt country, according to the annual corruption perception index drawn up by the anti-bribery watchdog Transparency International. It is also one of the most environmentally aware nations. 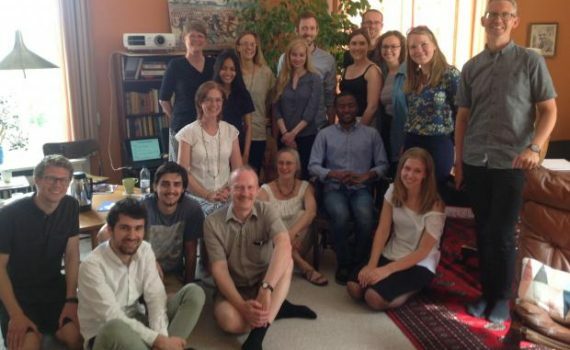 When 20 people met in the Initiatives of Change (IofC) residential centre in Copenhagen on 28 May they looked at how to encourage the values that build trust in the economy. Among those in the Copenhagen audience was Tania Ellis, the Anglo-Danish author of the best-selling business book The New Pioneers, about corporate sustainability and responsibility, as well as entrepreneurs, an occupational psychologist from Denmark’s largest shipping and oil firm, a theologian, an army officer, students and NGO activists from countries ranging from Norway and Romania to Burma. 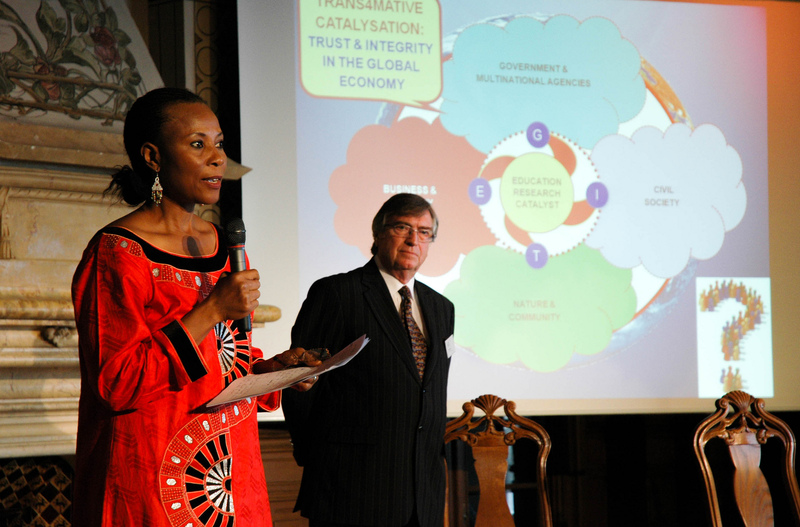 An annual TIGE conference took place 26 June-1 July 2015 in Initiatives of Change International Conference Centre at Caux, Switzerland, aiming to equip current and future economic leaders with leadership skills and knowledge that serve the common good and showcase stories and models of economic and personal transformation. 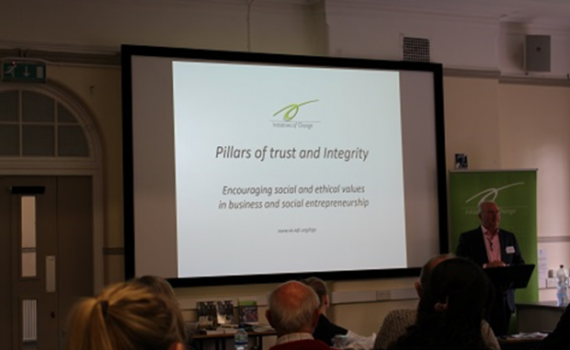 The conference explored how we can bring humanity back into business, to address people’s needs and create wealth in a sustainable and innovative manner. 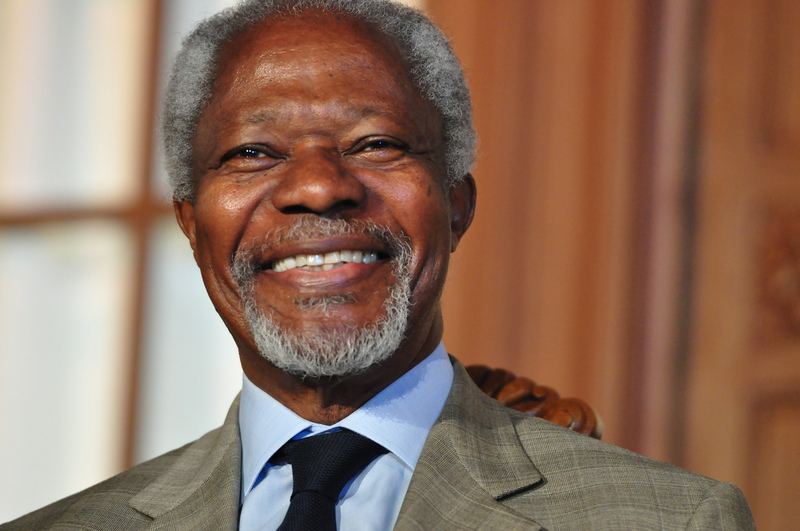 Kofi Annan made the final speech to the ‘Trust and Integrity in the Global Economy’ conference on 19 July 2013.